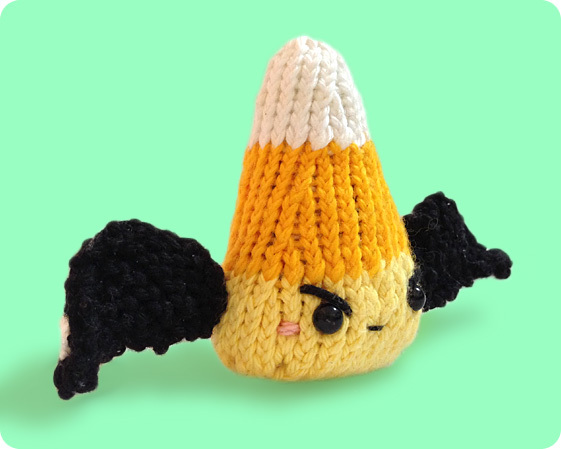 Halloween is approaching fast …! Hence, I present to you the supercharged Candy Corn with Angel & Devil wings! Everyone has that nice and naughty side to them and this knitted candy corn perfectly accommodates both sides (Yes, I made my candy corn double sided — one side with that oh-so-cute- angelic smile and on the opposite side, a cheeky one-loop-sided smile). You can see both wings overlapping a little since they are sewn back to back. 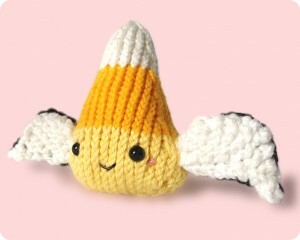 Please note that the pattern below is for the wings only, you can find the candy corn pattern here. Cut yarn, leaving approx 12cm tail. With tapestry needle, insert needle through loop of each stitch and pull tight. Sew this end to the body and secure. Weave in the cast on stitch so everything looks neat. I have also attached a video tutorial for the wings. For anyone who doesn’t know how to read the pattern or simply wanting to knit one together, you can watch the video 🙂 The video is at moderate speed, so if you want to learn certain techniques within the video just let me know and I will make a slow version of the technique for you. 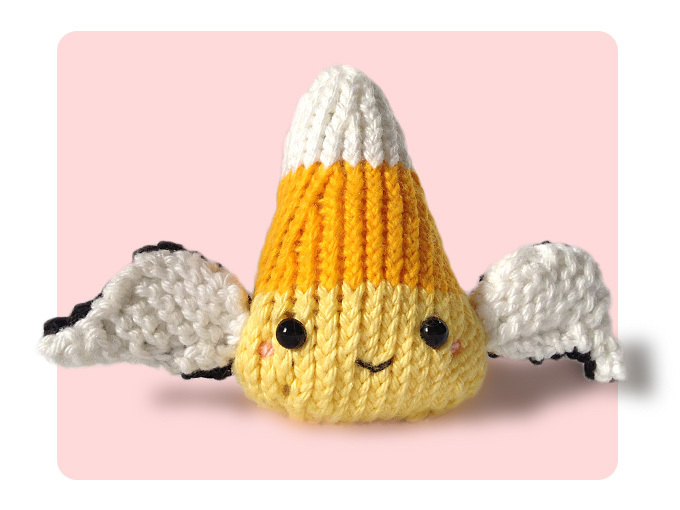 baby toys, easy knitting patterns, free knitting patterns, kid toys, knitted toys, learn how to knit tutorials, small stuffed toy, straight needles, toy accessories. Bookmark.